The "Black River Lower Morass" wetland has been designated by Jamaica for inclusion in the List of Wetlands of International Importance. 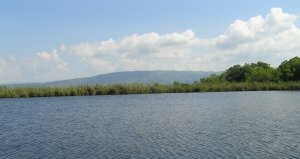 The largest freshwater wetland ecosystem in Jamaica, the Black River Lower Morass is a complex of shallow brackish lagoons, limestone islands, tidal marshes, mudflats and mangroves near the coast, and extensive freshwater marshes with peat formations. It is owned by the Government of Jamaica and the Petroleum Corporation of Jamaica. Covering about 14,085 acres, the Lower Morass supports a rich indigenous flora, and fauna, with several of the species being endemic to Jamaica. These include, Grias cauliflora, the only native representative of the Brazil nut family Lecythidaceae, the swamp palm (Roystonea princeps), the thatch palm (Sabal jamaicensis), and the naseberry bullet (Manilkara sideroxylon). The thatch palm is used used extensively by local people in the making of baskets, and as a roofing material. 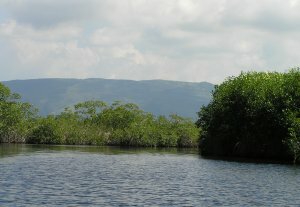 The southern section of the lower morass contains relatively large stands of red mangrove (R. mangle) which supports various species of birds, crabs, fish, shrimps, and the American crocodile. This wetland habitat serves as a hatchery for many species of fish in their juvenile stages, provides a nesting area for various birds and generates an abundance of nutrients for bottom feeders like crabs and lobsters as well as fish such as mangrove snapper, snook and mullet. Swamplands are also helpful in absorbing the shock of tidal waves caused by hurricanes and protect the inland areas. Described as the best area in Jamaica for all water birds, it is known to be the only area where the flamingo still nests occasionally. Commercially important species using the wetland as a breeding and nursery area include snapper, snook, tarpon, jack, and several species of fresh and brackish water shrimps. Saltwater crocodiles are among the larger predators in swamps and were once plentiful here but the population has been greatly reduced due mainly to loss of habitat. Their nesting places are being destroyed by heavy draining of the swamps for agriculture and the relentless development of beach areas. 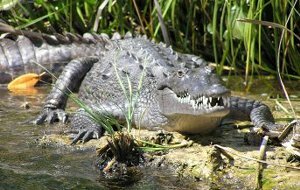 Unlike their aggressive cousins, the species of salt water crocodiles found in the Great Morass and on the banks of the Black River are relatively non-aggressive. Local tour guides are known to reach out and touch these crocs in demonstration of their non-agression. Birds are numerous, especially egrets, herons and ospreys. But most intriguing are the mangrove trees themselves because they send out aerial roots like spiders' legs, sometimes dropping 40 feet into the river! - The destruction of wetland vegetation by spontaneous as well as anthropogenic fires. Home to multiple species of birds including herons and egrets, and salt water crocodiles, the Great Morass exhibits the greatest biodiversity in the entire Caribbean.